Ian is a hugely inspirational development specialist and facilitator with an enviable background in leading sales and management teams to deliver business goals. 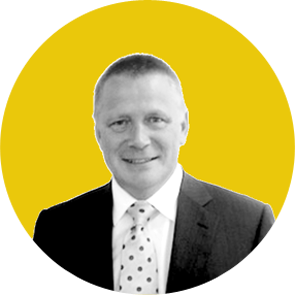 Confident working at strategic, operational and cross-functional levels, Ian always gains the engagement of others in support of change through his passion, experience, knowledge and ability. A qualified coach, Ian is consistently able to help people realise their potential and he adopts a pragmatic and energetic style with all his design and delivery. If you are looking for someone to bring learning to life, to inspire people to change their behaviours and work on improving their mindset and therefore business and personal improvement, then Ian simply has no peers. Ian always challenges people, and his delivery style and approach evidence the passion he has for what he does. Those who have attended his workshops, have been coached by and whoever interact with Ian are always left with increased motivation and he is one of the most credible facilitators in the business. The activities Ian uses in face to face sessions allow people to not only have fun, but also to really get to the crux of business challenges; for example, when did you last see a room full of marketing managers spending 10 minutes trying to bounce 100 tennis balls into a bin in one corner of the room and then discuss retail marketing strategy, enquiry management and strategic focus?! How easy are you making it for your ideal client to find you on #Linkedin ...? Copyright © 2018 Martin Baines Learning Solutions Ltd. All rights reserved.